Starting his first job in the post office of Changchun City, Jilin Province, in June 1970, Wang Jiarui was later appointed to various posts such as Deputy Postmaster of the Changchun Municipal Postal Service, Deputy Division Director of the Post and Telecommunications Office of Jilin Province, Deputy Director-General and Director-General of the Newspapers and Periodicals Distribution Department of the Ministry of Post and Telecommunications, Deputy Director-General of the Commerce Department of the Economic and Trade Office under the State Council, Deputy Director-General of the Policy Planning Department and Director-General of the Market Circulation Department of the State Economic and Trade Commission. 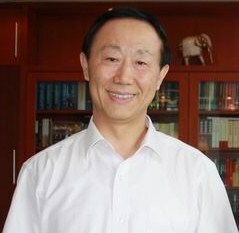 Wang Jiarui was transferred to work in Qingdao City, Shandong Province, in August 1995 holding successively offices of Standing Committee Member of the CPC Qingdao Municipal Committee and Deputy Mayor of Qingdao Municipal People's Government, Deputy Secretary of the CPC Qingdao Municipal Committee and Mayor of Qingdao People's Government. In September 2000, Wang Jiarui was moved back to Beijing serving as Vice Minister of the International Department of the Central Committee of the CPC and then promoted to Minister of the International Department in March 2003. He was elected Deputy to 9th National People's Congress in 1998, Alternate Member of the 16th Central Committee of the CPC in 2002 and Member of the 17th Central Committee of the CPC in 2007. Concurrently, he is a Ph.D. student tutor of industrial economics in the Business Administration School of Fudan University and Professor of Guanghua Business Administration School of Beijing University.